Established in 1980. In 1986 the first CCC National specialty was held in Winnipeg, Manitoba. Read more about the formation & direction of our Club in the About section. Membership in the Collie Club of Canada is open to any individual who is favourable to the objects of the club as written in the constitution and given below. 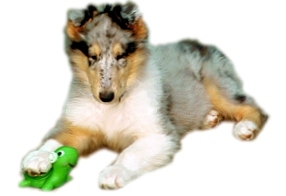 The object of this club shall be to encourage the breeding of Collies, both rough and smooth; conforming to the Breed Standard; to promote and encourage the breeding of said Collies and the dissemination of knowledge regarding the same; to join with and as a member of the Canadian Kennel Club to define the Collie, both rough and smooth, and to promote the perfection of their defined standards; to encourage and foster dog shows, exhibitions and matches and to aid in securing favorable legislation. We welcome memberships from all over the world, however, voting privileges in the club are restricted to Canadian residents only. According to our current rules, people applying for membership must have a copy of the constitution, our bylaws and Code of Ethics to verify that they have read these when signing their application. To apply for membership, print out the application form and the constitution and forward them with the proper dues to appropriate Area Director. For memberships outside of Canada and the US, please mail or e-mail the membership chairperson at the address on the bottom of the membership form.